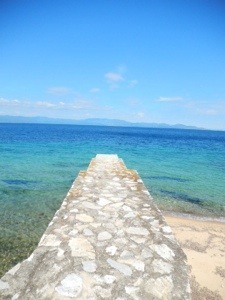 Tomorrow we will visit Athos again. 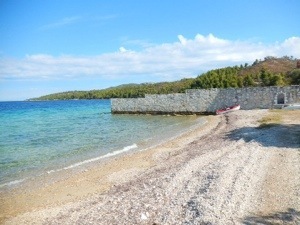 Here are some pictures of the border at the other side of the peninsula, at the beach of Komitsa. 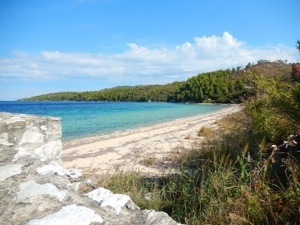 The empty Athos-beach with Cape Arapis in the background. This entry was posted in border. Bookmark the permalink.